Bakery cafés are in vogue, with their new business model mix of bakery and cafeteria, and even acting as restaurants for light meals. If you’re thinking of starting a bakery cafe, you will need to begin by studying the viability of your idea by drawing up a business plan which takes the investment and set-up requirements into account. One of the most important sections in your business plan will detail the equipment you need. At Fagor Industrial we want to help you to bring your bakery project to fruition, and so we have drawn up a list of equipment that you will need to begin. We have only taken into account the products needed to equip the hot spot or point of sale when making the list, as many bakeries do not have their own production facilities and the machinery needed would depend on the products being made. Oven: the centrepiece of any bakery. 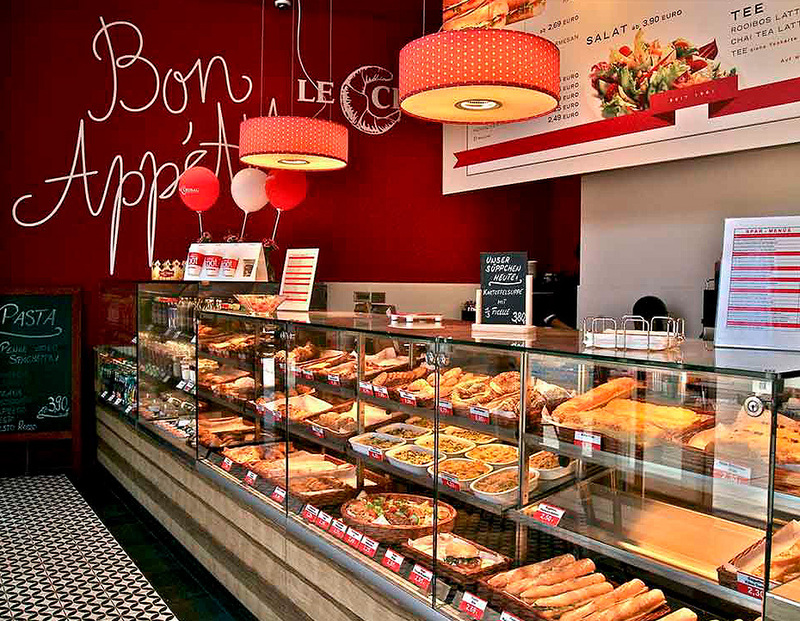 We recommend any of our Advance Concept ovens to bake pre-cooked bread and pastries. These ovens have an Start/Stop button to begin working at the precise moment required by the user. Refrigerators: the number of refrigerators will vary according to what you intend to sell, but you will probably need at least two: one refrigerator for drinks and refreshments, and a freezer or chest freezer. In most establishments of this kind, the staff prepare the bulk of the products on sale from pre-cooked doughs, which means that extra storage space needs to be organised. Dishwashers: you will need two units if you have large premises; one 500 x 500 dishwasher as you will be using a lot of crockery, and a glasswasher. At Fagor Industrial we offer a wide range of industrial dishwashers from our EVO line. Professional coffee machine and coffee grinder: another focal point of a bakery café and essential for creating customer loyalty by serving good coffee. Choose a machine with sufficient capacity for the number of customers you expect and make sure you thoroughly understand how it works and how to handle it in order to offer a high-quality product even at the busiest of times. Microwave oven: if you serve hot food, you will need a microwave to heat them up before serving. A normal, small microwave with capacity for heating small servings is usually sufficient for most premises. If you offer products that require any kind of toasting or gratin, we recommend that you acquire an extra appliance separately and specially for this purpose so as to avoid delays in busy periods. Ice makers, juicers, toasters, appliances to keep chocolate hot… you will no doubt need to add or remove articles from the list depending on your particular concept of bakery. We hope this article has been of use to you. Please share it on your social networks, and good luck! Buen artículo, como tienda de maquinaria de hosteleria https://www.pepebar.com, tanto para panaderias como gastronomia, los hornos fagor son muy recomendables, por su facilidad de uso, hemos trabajado con varios clientes que disponen de ellos, y su funcionamiento es muy cómodo para hornear pan y bolleria industrial, sin tener que conocer al detalle las funciones del horno. Nosotros también trabajamos con Unox marca muy reconocida en hornos industriales especializados tanto en panaderia y bolleria https://www.pepebar.com/horno-panaderia , como en gastronomia. Pero cabe destacar que los hornos fagor con el advance Concept son también una muy buena elección. Muchas gracias por tu comentario Raúl, ¡saludos!